The Patriots dynasty launched into orbit on Feb. 3, 2002, when a second-year quarterback and an oft-maligned coach conspired to upset the Greatest Show on Turf. Nobody could have imagined what would happen over the years to come. Tom Brady and Bill Belichick would build strong cases as the best player and coach, respectively, in NFL history. The Patriots, who were lovable, defense-first underdogs at the time, grew into the villains of the league as its greatest dynasty. Over that same time frame, the Rams simultaneously collapsed. An organization with two Super Bowl appearances over the prior three years posted just one winning season and won a lone playoff game over the ensuing 15 seasons. They faded into an NFL laughingstock and cycled through seven coaches before abandoning St. Louis and moving back to Los Angeles. Only there did they turn things around by hiring their own brilliant coach, with Sean McVay transforming the moribund Rams into a contender overnight. On Sunday, 17 years to the day these two franchises veered in stunningly different directions, the Rams have their chance for revenge. Brady, of course, is the only player left on either team’s roster from that Super Bowl in New Orleans. (Jared Goff, the opposing starter this Sunday, was 7.) So many of the character traits and so much of the legacy we would eventually lock in about Brady began on that night. Sunday night marks Goff and McVay’s chances to define legacies of their own. I’ve written five Super Bowl previews involving the Patriots for Grantland/ESPN, and the same blueprint for how to beat the Patriots pops up every time. When you go back to that fateful Giants win over the 18-0 Patriots in Super Bowl XLII 11 years ago, the story beyond the Helmet Catch revolved around how the Giants were able to pressure Brady with their excellent front four. Four years later, when the Giants upset the Patriots for a second time, they knocked down Brady six times and pressured him once every three dropbacks. In Super Bowl XLIX, the Seahawks picked off Brady twice and held the Patriots to 14 points before Cliff Avril left with a concussion in the third quarter. Brady was knocked down once the rest of the way and went 15-of-19 for 141 yards with two touchdowns, including the game winner to Julian Edelman with 2:06 left. The following season, epic performances from Malik Jackson, Von Miller and DeMarcus Ware in the AFC Championship Game stifled the Patriots. The Broncos sacked Brady four times and knocked him down on a staggering 17 occasions as they became the only team in the past five years to keep the Pats from the Super Bowl with a 20-18 win. Two years ago, Brady was knocked down nine times by the Falcons in Super Bowl LI, with Grady Jarrett‘s three sacks leading the way. The Pats ran a near-record 93 plays on offense, though, and the Falcons tired as the game wore on. Atlanta pressured Brady on 44.7 percent of his dropbacks in the first three quarters but got to him only 20 percent of the time in the fourth quarter and overtime. Over that span, Brady went 21-of-27 for 256 yards, a touchdown and the game-tying two-point conversion before leading a third touchdown drive in overtime. Last year, the Patriots used tempo to slow the Eagles’ pass-rush rotation and Brady threw for 505 yards and three touchdowns in Super Bowl LII. Philly hit Brady nine times but only sacked him late in the fourth quarter, when Brandon Graham‘s strip sack took away Brady’s shot at driving down the field down five points with 2:16 to go. The Pats scored 33 points and still lost. The Patriots are averaging 39 points per game this postseason, and if you haven’t noticed, opposing defenses have gotten about as close to Brady as salted caramel ice cream. The Chargers and Chiefs combined for 90 sacks in the regular season, but they failed to sack Brady even once across 90 combined pass plays in the postseason. He has been pressured on 11.1 percent of his dropbacks, which is absurd; only one quarterback has been bothered less frequently during a postseason over the past decade than Brady, and that was Peyton Manning in 2013. That year, Manning skated past the Chargers and Patriots on the AFC side of the bracket before running into a juggernaut in Super Bowl XLVIII. The Seahawks sacked Manning only once, but they suffocated a short Broncos passing game and forced four fumbles and two interceptions in a 43-8 romp. Aaron Donald: Tom Brady hater? The Chargers and Chiefs have some great pass-rushers, of course, but the Rams will understandably feel like they have a weapon nobody else in the league can match. Aaron Donald just finished the regular season with 20.5 sacks and 41 knockdowns, which might have been the most dominant pass-rushing campaign from an interior disruptor in modern league history. Nobody else in football came within four sacks or six knockdowns of the reigning Defensive Player of the Year, and Donald is probably going to take home that same hardware for a second consecutive year. The Rams don’t need Donald to have a monster game to win the Super Bowl. They won the NFC title without him recording a sack against the Cowboys or Saints, although he has lived in the opposing backfield and racked up three tackles for loss and three quarterback knockdowns over the past two games. Donald is playing great. If Donald does go off Sunday, though, it seems likely that Wade Phillips will be wearing a cowboy hat on a parade float through the streets of Los Angeles next week. (This should happen every week, to be honest.) The Rams are 9-0 in the McVay era when Donald racks up two or more sacks in a game. The best way — possibly the only way — to stop Brady in the postseason is to get pressure, preferably up the middle, as the Giants did in their two upset victories. The most plausible path to a Rams victory on Sunday involves a big game from their star defensive tackle. Do the Patriots allow many huge games to individual pass-rushers? No. When the Patriots allowed Jarrett to sack Brady three times during the Super Bowl LI win over the Falcons, it was just the the third time in Brady’s career that any defensive player racked up more than two sacks in a game against him. That list includes Jarrett, a three-sack Joey Porter performance from 2004 and Von Miller’s 2.5 sacks in the Broncos’ 2015 AFC title game win. The chances of any individual player having a massive game against Brady, who gets the ball out as quickly as any quarterback in football, are pretty slim. The Rams do have a secondary pass rush with Ndamukong Suh and Dante Fowler, but Suh finished the year with 4.5 sacks, while Fowler had two sacks in eight games after being traded from the Jaguars. Suh was a 4-3 defensive tackle for years with the Lions and Dolphins, but with the presence of Donald and Michael Brockers on the interior, Suh does his pass-rushing work from left defensive end. If he impacts the game dramatically as a pass-rusher, it seems likely that Suh would be matching up against Pats right tackle Marcus Cannon, while Fowler deals with 6-foot-8 monster truck Trent Brown on the opposite side. Have the Patriots done well against interior pressure? It seems like it. Those two Pats losses against the Giants came amid curiously subpar performances from the otherwise-excellent Logan Mankins at guard. The Patriots tend to aggressively cycle through interior linemen — while paying their tackles — but they have a good trio this season with guards Joe Thuneyand Shaq Mason flanking center David Andrews. Brady was sacked twice by Texans tackle D.J. Reader in the 2018 opener, but the Patriots allowed just one sack to an interior lineman over the remainder of the season, when Packers star Mike Daniels took down Brady in Week 9. What about top-tier defensive talent? Most defensive tackles are human, and I can’t say that about Donald with confidence, but New England has done pretty well against the league’s top interior linemen. Going back through the 2016 season, I found 12 games in which the Pats were going up against Pro Bowl-caliber tackles in their prime: four against Suh’s Dolphins, two against Malik Jackson and the Jaguars, the Super Bowl against Fletcher Cox‘s Eagles, the Daniels game and matchups against Kawann Short, Gerald McCoy, Geno Atkins and Donald himself, whom the Pats played during the dying days of the Jeff Fisher era in 2016. The Patriots allowed those star interior linemen to rack up a total of four sacks. (If you include Marcell Dareus for the Jags, you can get the total up to five sacks.) They allowed three sacks to Jarrett in what amounted to his coming-out party, but it was at the end of Jarrett’s first season as a starter, and one of his sacks was a coverage sack off of a slow-developing twist. Again, Donald is a unique problem, but the preponderance of evidence suggests that the Patriots do a pretty good job against pass-rushing defensive tackles. So, how will the Patriots slow down Donald and try to move the ball on an oft-dangerous Rams defense? Let me start by arguing against one popular path. Plenty of teams try to attack interior disruptors who cheat their gap responsibilities to create pass-rushing opportunities by running the ball directly at them. The Patriots ran the ball 48 times against the Chiefs in the AFC title game, and while those raw totals can be adulterated and turned into bad data when you look at teams who run in the second half to kill clock with a big lead, offensive coordinator Josh McDaniels ran the ball 25 times against just 17 passes during a relatively close first half. It might seem like common sense to think the Pats will run the ball at Donald. I’d be skeptical of that plan. For one, I think the Patriots ran the ball a ton against the Chiefs because Kansas City’s run defense was awful. It ranked 32nd in rush defense DVOA at the end of the regular season. The Rams’ run defense wasn’t much better, ranking 28th at the end of Week 17, but in the postseason, Phillips’ defense has held Ezekiel Elliott, Mark Ingram and Alvin Kamara to a combined 93 rushing yards in 37 carries. Two games isn’t a trend, but it’s enough to give the Patriots some concerns when they watch the tape. More importantly, though, the game plan against great pass-rushing tackles has generally been to throw the ball more. In those 12 games I mentioned above, the Patriots threw the ball on nearly 61 percent of their dropbacks, which is out of character for McDaniels’ offense. The Pats’ numbers are unquestionably skewed some by the fact that they’re typically spending the fourth quarter defending unassailable leads, but when you remove those 12 games, Brady & Co. have thrown the ball just over 56 percent of the time on offense since the beginning of 2016. The Patriots dropped back to pass just over 61 percent of the time against Donald’s Rams in 2016. The next solution against great pass-rushers is typically to get the ball out quickly. Again, this plays to a common Patriots strength. Brady took just 2.61 seconds to get the ball out this season, the fifth-best rate in the league. In the postseason, that number has fallen to 2.42 seconds. If Brady gets the ball out before Donald arrives, he can’t be sacked. Could the Rams actually want the Patriots to pound the ball? The defensive moves they made this offseason rather brilliantly set up their defense to play to the clock. In adding Marcus Peters and Aqib Talib, they brought in two corners with great ball skills and a history of tricking quarterbacks into making mistakes. If the Rams know the quarterback is getting the ball out quickly, Peters and Talib can feign like they’re going to bail into zone or Cover 1 before unexpectedly filling a seemingly open throwing lane for a pick. Talib’s first interception with the team came in December against the Eagles on a play in which he came off what looked like his responsibility in coverage to intercept Nick Foles on a throw to Zach Ertz. Peters and Talib squeeze tiny mistakes, like when Derek Carr and Jared Cook didn’t seem to communicate on a crossing route in the opener, which led to a pick-six for Peters. During the regular season, when opposing quarterbacks got the ball out within 2.5 seconds of taking the snap, the Rams posted the league’s seventh-best passer rating. After 2.5 seconds elapsed, though, the Rams fell all the way to 29th in passer rating. If you get the ball out quickly against the Rams, their defensive backs are designed to fool your quarterback and create takeaways. If you don’t, the Rams trust that Donald and Suh will have you on the turf before you find a hole in the defense. I think the Patriots are instead well-positioned to attack in places where the Rams haven’t been great on D. One way to slow an aggressive defense like L.A.’s is to use play-action, and the Rams don’t do well against play fakes. They ranked dead last in both passer rating (131.2) and QBR (88.3) allowed against play-action dropbacks this season. Opposing quarterbacks went 91-of-121 for 1,153 yards with 14 TDs and four interceptions. The Rams actually pressured quarterbacks 41.0 percent of the time on play fakes, but that pressure generated just six sacks in 127 tries. The Pats ranked third in play-action attempts and third in play-action QBR this season. One thing to note from that 2016 game against the Rams is just how they ran their play fakes. I wonder if they were concerned about Donald blowing up their play-action game. As my colleague Matt Bowen is fond of noting, the Patriots love to pull a guard as part of their play-action game. It creates similarities with what they do on actual running plays and creates a run key to confuse linebackers. A couple of false steps from a linebacker is enough to create a throwing lane up the seam for Edelman or Rob Gronkowski. In the Rams game from 2016, New England went 7-of-10 on play-action but netted only 65 yards and two first downs on those throws. McDaniels’ offense pulled a guard only once in those 10 pass attempts, and on that play, the Pats doubled Donald to keep him off Brady. The play worked — Brady hit Edelman for 15 yards — but the Patriots didn’t want to give Donald any short paths to their star quarterback. I wonder if they’ll be comfortable pulling guards on play fakes Sunday night and what will happen if they leave Donald one-on-one in the process. The Rams also struggle against deeper passes. The NFL defines deep throws as those which travel 16 or more yards downfield through the air, and while it’s tough to get those passes off with Donald breathing down your quarterback’s neck, the Rams don’t love it when you find the time. Opposing quarterbacks have generated the league’s fifth-best quarterback rating (95.1) on those throws against L.A. The Patriots don’t have a prototypical downfield receiver after Josh Gordon left the team in December, but it hasn’t been an issue for Brady. The Pats ranked in the top 10 in both passer rating (eighth) and QBR (10th) on deep passes during the regular season, and Brady is 6-of-11 for 156 yards and a league-best passer rating of 129.9 on those same throws during the playoffs. Two of those incompletions were tough passes that hit his receivers in the hands. Robey-Coleman suggested during the week that age has taken a toll on Brady, but if the Rams dare Brady to make plays downfield, I’d still be worried. Will the Rams receive rare gifts from Brady? Brady threw two uncharacteristic picks against the Chiefs on shorter passes, while a third was called back on a Dee Ford offsides penalty. A simple crossing pattern went off of Edelman’s hands before being picked by Daniel Sorensen. Earlier in the game, Brady forced a pass to Gronk on play-action from the 1-yard line and was picked by underneath linebacker Reggie Ragland. The Rams expect to create short fields and stops with takeaways. They probably need to have at least one takeaway to win this game. They posted the league’s second-highest takeaway rate this season, forcing turnovers on 16.5 percent of opposing drives. When they didn’t create turnovers, teams were able to drive down the field and score points, as the Rams ranked just 23rd in the league in points per drive when you exclude those drives (for all teams) that didn’t end in a takeaway. The Patriots managed to win the AFC title game despite Brady throwing two interceptions and failing on a fourth-and-1. Typically, a team looking to rely on takeaways to combat the Pats would suffocate waiting for its chance, but Brady threw 11 interceptions and posted his highest interception rate since 2011. The Patriots gave up the ball 18 times, which was the eighth-lowest total in the league, but the most they’ve posted in a single season since 2013. New England managed to win because the Chiefs didn’t have answers for what the Pats do best. McDaniels, Brady and the Pats’ weapons were able to manipulate coverages to their favor and stretch a limited group of Chiefs linebackers beyond their limits. They’re going to want to do the same thing to the Rams, who invested in cornerbacks and defensive linemen at the expense of their linebackers. Part of beating overmatched linebackers, of course, is doing what you can to make sure they get on the field. There’s a player on the Patriots’ offense who could end up playing a huge role in this game without even touching the football. What’s most interesting about this play is what happened before the snap even took place. After the Cowboys converted fourth-and-1 on the previous play, the referees conferred for nearly 30 seconds before flagging Peters for a personal foul on Cooper. The Cowboys had time to substitute and came out for first-and-10 in 11 personnel, with Elliott in the backfield, Dalton Schultz at tight end and three wideouts on the field in Cooper, Michael Gallup and Tavon Austin. Most teams would respond to 11 personnel by bringing a fifth defensive back onto the field to cover the extra wideout. In this case, Phillips chose not to substitute and instead went with his base defense. The Rams rotated safety Lamarcus Joyner down toward the line of scrimmage to cover the slot receiver, and when the Cowboys motioned Austin to the outside, the Rams had Joyner matched up against Cooper. Joyner is a good cornerback-turned-safety, but that’s a mismatch, and Prescott knew where the ball was going before he even took the snap. Deep safety John Johnson was playing 18 yards off the line of scrimmage at the snap and was on the 5-yard line when the ball was caught on the 18-yard line, but Cooper still managed to beat the second-year defensive back to the end zone. You can understand why Phillips might want to stay in his base defense versus 11 personnel on first-and-10 against the Cowboys, who are one of the most run-focused teams in the league and don’t have great receiving weapons beyond Cooper. The Rams basically chose to leave Robey-Coleman on the bench in favor of keeping both Samson Ebukam and Brockers on the field, which makes sense if you think a run is coming. By staying in base, though, Phillips handed the Cowboys an opportunity to take advantage of a virtually guaranteed mismatch. The Rams have a pair of highly regarded cornerbacks in Peters and Talib, but neither of them are Chris Harris Jr., the 5-foot-10 dynamo Phillips helped mold into a star alongside Talib in Denver, because Harris is one of the rare corners capable of excelling both in the slot and on an island outside. Peters and Talib rarely travel inside to the slot, and even against Michael Thomas and the Saints in the NFC title game, Phillips had his cornerbacks almost exclusively play their typical sides. Talib is on the left side of the offense, Peters is on the right and, when he’s on the field, the 5-foot-8 Robey-Coleman is in the slot. Troy Hill, who filled in as a starter when Talib was on injured reserve during the regular season, has come off the bench in the postseason for only eight defensive snaps while Talib was being evaluated for a concussion. I’m not suggesting the Rams will come out in their base defense when the Patriots are in 11 personnel, because that would be a borderline suicidal tactic. The Rams used their base D against three-wide sets only 6.6 percent of the time during the regular season while the game was within 14 points, and while that was the sixth-highest rate in the league, they’re not going to do that against the Pats. 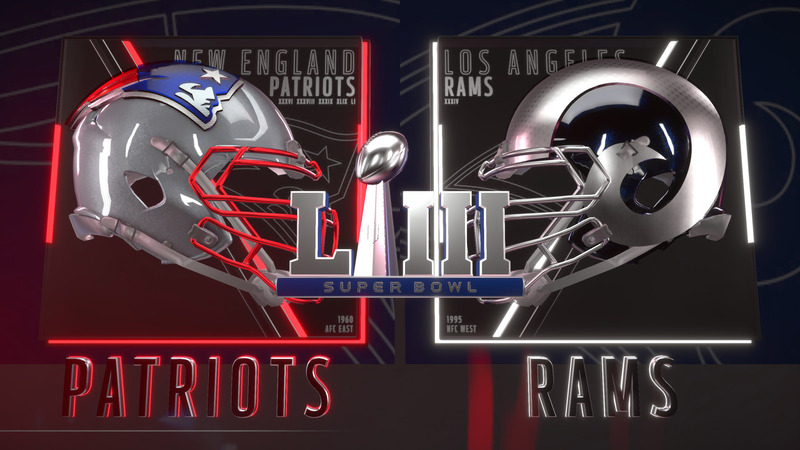 With guys like Edelman, Gronk and James White, though, the Patriots have weapons who can play in just about every offensive grouping the Pats employ and take advantage of whomever the Rams line up against them in the slot if Los Angeles is in its base defense. So, how do you convince the Rams to line up in their base? You put a second running back on the field. Again, while the game was within 14 points, the Rams responded to 21 personnel (two running backs, one tight end, two wideouts) by sending out their base defense a whopping 91 percent of the time, the second-highest rate in football. Phillips’ defense allowed 4.5 yards per carry on the ground and 9.5 yards per pass attempt against 21 personnel. The Patriots, meanwhile, run 21 personnel while the game is within two scores more than anybody in the league beyond the 49ers, who gave Kyle Juszczyk the most outsized deal in football to be their fullback. McDaniels has experimented with personnel groups that feature two of his versatile halfbacks on the field at the same time, but on the vast majority of two-back snaps, a second back means James Develin comes onto the field for the Patriots. Of course, in the modern NFL, most teams aren’t using a fullback in anything resembling a regular role. Belichick had guys like Larry Centers, Marc Edwards and Patrick Pass on the roster during the early years of the Pats dynasty, but after Heath Evans left the organization following the 2008 season, the Patriots didn’t give meaningful snaps to another fullback before Develin arrived on New England’s practice squad in 2012 and started seeing the field regularly in 2013. On Sunday, Develin can place pressure on Phillips and the Rams’ defense from the moment he steps on the field. A typical Patriots huddle could include Develin and White with Edelman, Chris Hogan and Gronk. The Rams are immediately going to be forced to make a decision about how to defend that personnel grouping, and there’s no good answer. Do they play out of their base and send Brockers or Ebukam to account for the run, given that the Pats run 69 percent of the time when Develin is on the field, even outside of the red zone? Let’s say the Rams stay in their base defense. When the Pats break the huddle, they can split out Develin as a de facto flanker on the right side of the offense, with Hogan split wide to the left, Edelman in the slot on that side and Gronkowski as the tight end next to the right tackle. That’s a coverage indicator immediately; if the Rams leave Talib on Develin, it’s clear they’re in zone and that they’re wasting their best cornerback on a guy who catches the ball twice a month. That’s a victory. If they send Cory Littleton or Mark Barron out on Develin, they know they have man-to-man coverage, which means the Pats can get Edelman in the slot versus a cornerback playing out of position (Peters or Talib) or an overmatched safety (Joyner). If the Rams go into the nickel and take Brockers or Ebukam off the field for Robey-Coleman, that works, too. The Rams have a theoretical answer for Edelman in the slot with their nickel corner on the field, but the Pats can just as easily move Edelman out wide against Talib (or Peters), motion Develin into the backfield and create a mismatch on the ground. Now, the Rams are asking a 181-pound slot corner to fill a gap against the 255-pound Develin or the 265-pound Gronkowski. Suh can help by winning on the edge against Cannon, and Donald can fire into the backfield and blow up the play by himself, but that’s not going to happen on every first-and-10. Develin isn’t a mismatch, but his presence on the field lets Brady figure out where the mismatch is going to be. That’s the beauty of the weapons the Patriots currently have. Nobody is the sort of force of nature that Randy Moss was in 2007 or Gronkowski was for most of his career, but just about everybody can do anything the Patriots want from snap to snap. Their wideouts can line up outside or move into the slot. Their tight ends can catch and block. Their halfbacks can run between the tackles and catch the ball. Sell out to stop one thing and the Pats will do something else. The result of all this versatility is some surreal, back-to-the-future moments. Against the Chiefs, McDaniels put Brady under center and split Rex Burkhead and Develin out behind him in the old Pro Set formation that Brady probably ran while he was playing Madden in high school. The Pats brought second tight end Dwayne Allen in motion into the slot, then had both Allen and Edelman run post routes to clear out a drag route underneath for Gronkowski, while Burkhead ran an up route and Develin sneaked out the other side to occupy another linebacker. This is something Charlie Weis probably had in the playbook for the Patriots in 2003. It’s one thing to call this in the fourth quarter of a blowout as an inside joke; the Pats ran this down four with five minutes to go in the AFC Championship Game. Phillips knows all this, of course, and Develin typically plays only 35-40 percent of the snaps on offense. If you take for granted that the Rams are going to leave Peters and Talib on opposite sides and use Joyner, Johnson, Robey-Coleman and their linebackers to cover the running backs, the slot receivers and Gronkowski, it looks like a clear mismatch favoring the Patriots. The Rams allowed 9.4 yards per attempt to receivers in the slot this season, while the league as a whole allowed an even 8.0 yards per throw to slot receivers. They were basically league-average elsewhere, allowing 7.6 yards per attempt on all other targets versus the average of 7.5 yards per pass. The Rams need a great game from their linebackers, both in terms of communication and execution. Brees was able to manipulate Littleton for a couple of completions early in the game, but the Saints don’t have the same weapons in the slot that the Patriots do. Littleton has improved dramatically this season, just as Phillips has been able to do with inside linebackers in prior stops. Barron, who hasn’t lived up to his five-year, $45 million deal and could be playing his last game with the franchise, has been better as a run defender during the playoffs. He’s also one of the few human beings in the league with the size and athleticism to compete with Gronkowski. Can the Rams rely on the former safety to take on a still-imposing challenge? There are three ways to deal with the Patriots on offense. One is to get consistent pressure on Brady, which is certainly plausible with Donald around. Another is to keep Brady off-balance by showing him looks he’s not expecting and tricking him and the offense into making mistakes for an extended period of time. It’s possible — the Jets did it by switching to zone coverage in their 2010 playoff win — but I wouldn’t want to count on it as a viable philosophy for 60 minutes. The third strategy is to realize that your defense isn’t going to stop Brady and trust that you can win a firefight with your offense. The Eagles won the Super Bowl this way a year ago, and it might be the Rams’ best path toward winning one this time around. The Patriots want to split out running backs as receivers, move receivers into the backfield, and run every sort of personnel grouping imaginable. The Rams want to do the opposite. Sean McVay’s plan was to run 11 personnel with 10 players taking every offensive snap: the five starting offensive linemen, Jared Goff at quarterback, Todd Gurley at running back, and Brandin Cooks, Cooper Kupp and Robert Woods at wide receiver. Throw in a 70-30 split of snaps between Tyler Higbee and Gerald Everett at tight end and you had an offense for every down, distance and game situation. When Kupp went down with a torn ACL, McVay just plugged in Josh Reynolds and kept going. After the Chiefs game and their bye week, though, the Rams seemingly had a crisis of faith. They beat the Lions 30-16, but it came in a game in which their offense struggled until it turned two short fields in the fourth quarter into touchdowns. The Bears then made the Rams look like they were haunted by Fisher’s ghost on national television, as they forced four interceptions of Goff in a 15-6 victory. The Rams turned the ball over three times the following week in a 30-23 loss to the Eagles, the first time they lost two games in a row during the regular season in the McVay era. Gurley, who tweaked his ankle in the Chiefs game, began to struggle with a knee injury that cost him the remainder of the regular season. As you know, the Rams signed C.J. Anderson off the street in December, and he has turned into prime Jerome Bettis. The Rams made a point of recommitting to the run, as they ran the ball 83 times for 424 yards and four touchdowns in a pair of victories to lock up the No. 2 seed and a first-round bye. Gurley came back against the Cowboys, but despite pregame reports that he looked and felt 100 percent, Anderson got more touches than the defending Offensive Player of the Year (23 to 18). You wondered whether the Rams might be saving Gurley for their huge rematch with the Saints in the NFC title game, but after Gurley dropped an early pass for a pick and whiffed on a pass block, the Rams sat Gurley for long stretches. Anderson again out-touched Gurley, 17 to five, as the two backs split snaps at a 54/46 rate, respectively. Even that doesn’t cover the whole story, because McVay has also begun to go against well-established tendencies to throw off opposing defenses. As The Athletic’s Ted Nguyen pointed out on my podcast, the Rams suddenly started running out of shotgun against the Cowboys. During the regular season, L.A. ran the ball just 28 times on 409 shotgun or pistol snaps, for a measly rate of just 6.8 percent. The rest of the league ran the ball 26 percent of time out of shotgun, and the 31st-ranked team (the Patriots, coincidentally) was at 14.2 percent. Against Jaylon Smith and Dallas, however, the Rams ran the ball twice out of shotgun amid their first six shotgun snaps, with Anderson running for 12 yards and then again for 11 yards at the beginning of the second quarter. A third attempted run out of shotgun on third-and-3 resulted in a fumbled handoff, at which point McVay got away from the tactic. The Rams ran the ball only once in 28 shotgun snaps against the Saints in the NFC Championship Game, although they also trailed for virtually the entire contest in regulation. Instead, the Rams helped engineer a comeback victory over the Saints — and their late-season resurgence on the ground — by trusting a shift in the underlying personnel tenet of their offense. Through the Eagles game, per the NFL’s Next Gen Stats, the Rams had run 886 plays out of 11 personnel. In three games, it had been the personnel grouping they used on each and every snap. Meanwhile, even after losing Kupp to a torn ACL, the Rams had gone with 12 personnel (one back and two tight ends) on just 13 offensive snaps all season, 886 to 13. That’s right: After running just over 98 percent of their offensive snaps out of 11 personnel through the first 15 weeks of the season, the Rams actually went to 12 personnel for the majority of their snaps against the Cardinals, with Reynolds ceding snaps to Everett. Anderson took over for Gurley, and the Rams didn’t skip a beat. The plays weren’t necessarily different, but the personnel created better blocking opportunities and shifted how teams tried to defend against the Rams. By the time McVay got to the playoffs, he was back to almost exclusively 11 personnel in a game in which the Rams were excellent on offense. When his attack sputtered out during a disastrous opening quarter against the Saints in New Orleans, though, McVay extended a possession with a key fake punt and went back to the 12 personnel for a handful of snaps. By the NFL’s definition of success rate — essentially, a measure of whether a team is staying on schedule on offense — the Rams were far more successful out of 12 personnel against the Saints than they were with three wideouts on the field. Overall, during their past four games, the Rams have run about 29 percent of their snaps out of 12 personnel. Those snaps have generated a 65 percent success rate, better than the 58 percent success rate the Rams produced out of their more familiar 11 personnel over the same time frame. All of this creates a fascinating puzzle for the Super Bowl. If Belichick was planning for this matchup in November, he might very well have gone back to the Marshall Faulk game plan from the 2001 playoffs and planned on simply hitting Gurley as frequently as possible. Now, it’s unclear whether the Rams will even use Gurley as their primary back. Do the Patriots plan the same way for Anderson? And if you’re McVay, do you stick with the 11 personnel-exclusive attack that took the Rams to a 10-1 record, or do you turn to 12 personnel to simultaneously get your best set of weapons on the field for Goff while throwing a curveball to Belichick’s defensive game plan? Or do you just assume Belichick has prepared for everything and simply trust that your strength can beat his? It’s strange to look at a game in which the defense allowed 30 points as a marker of what the Patriots might do in the Super Bowl, but it was bizarre to think that they could emulate the Giants offense from 2017 in last year’s game, and Belichick went with heavy doses of the no-huddle and muddle huddle the oft-moribund Giants offense showed in Super Bowl XLII. Gurley ran the ball 23 times for 132 yards in that 30-16 victory over the Lions, but the Lions were more effective than those numbers suggest. Detroit held Los Angeles to 16 points on eight drives that started on its own side of the field. The Rams started three drives in the second half on short fields: two on failed Lions onside kick attempts, and a third when Matthew Stafford was strip sacked by Donald with 8:26 to go in the fourth quarter. Gurley carried the ball six times for 69 yards on the final two L.A. drives, including that notable 36-yard run in which Gurley stopped short of the end zone too early in the game to kneel; Gurley scored two plays later, but those numbers should really be four carries for 69 yards. Lions coach Matt Patricia is not Belichick, but as someone who spent his entire coaching career under the future Hall of Famer, you figure that Patricia might approach the problem of stopping the Rams in a similar way to how his former employers have over this two-week stretch. At their core, the Rams are built around the outside zone and the resulting play-action and counter opportunities that come when defenders overpursue and sell out to try to stop it. It shouldn’t be a surprise, then, that Patricia built his defensive fronts around stopping outside zone and confusing the Rams’ blocking scheme. He pushed his weakside defensive end out wide into a 9-technique, where it would be an enormous stretch for even Andrew Whitworth to get to the ball carrier. Patricia had his inside linebackers mask their intentions, as Zach Dunn pointed out on Twitter, and seemingly stretch with the play before scraping back inside to mess with the blocking timing and take down Gurley. The Lions’ defensive tackles were often outside the guards’ shoulders as 3-techniques. Patricia didn’t want to get beat on the Rams’ signature concept. On the first third down of the game, Patricia loaded up both A-gaps and sent pressure at Goff, who missed a makeable throw to a receiver that would have resulted in a first down. The inability to get the Rams’ core run staple going took Goff out of his rhythm. Los Angeles’ play-action game is built off outside zone, and on play-action passes against the Lions, Goff went 6-of-14 passing for 106 yards, an interception, a strip sack and a passer rating of just 39.6. It was Goff’s worst performance on play-action all season. The changes from the Lions didn’t shut down the Rams altogether, because McVay is smart enough to have a Plan B. L.A. tried to run its Wham scheme, which the Patriots coincidentally love to employ with Gronkowski, to trap the linemen who were expecting outside zone. Eventually, the dam broke, and Gurley took over in the fourth quarter. Sports Illustrated’s Andy Benoit noted the important thing here: When the Rams are at their best, they make everything they do with the run and everything with the pass flow together and look the same. Patricia’s defense disrupted that rhythm and forced the Rams to look different. Other teams have had success slowing down the Rams over the ensuing weeks. The Bears suffocated everything L.A. did because they’re the Bears. The Eagles have one of the best defensive lines in football. The Cardinals and 49ers couldn’t stop the run, and the Rams had a great game against the Cowboys, but the Saints’ defensive tackles did a great job of penetrating into the backfield in lieu of flowing to the outside. Again, this isn’t anything intractable or unknown. McVay’s offense isn’t the first team to rely on outside zone. Belichick has been dealing with this for decades, going back to Mike Shanahan’s offenses with the Broncos and the scheme the Colts ran during the Peyton Manning era in Indianapolis. McVay has had two weeks to prepare for what the Lions showed and to figure out whether the Patriots will do the same thing in Atlanta. Belichick has had two weeks to prepare for those counters. My suspicion is that the Rams will react to what happens early in this game. If they have success with their conventional approach out of 11 personnel, they’ll stick with it and dare the Patriots to catch up. If the Patriots get out to an early lead and the Rams struggle, as was the case against the Saints in the NFC title game, McVay will change up things and go with more 12 personnel to try to create more running lanes while challenging the Patriots’ linebackers. The decisions McVay makes about his personnel usage and his running game might determine whether we see more of Gurley on Sunday. As Nguyen pointed out, one plausible reason for why the Rams might have relied more heavily upon Anderson as opposed to Gurley against the Saints is that the Rams weren’t having success running outside zone and went with a much heavier dose of inside run concepts. Gurley can do just about everything when healthy, but Anderson — especially this XL version of Anderson — is a better interior runner. If the Rams can’t run their typical offense effectively against the Patriots, they might again get away from using their typical running back. It also seems likely that Gurley isn’t 100 percent healthy, regardless of what has been said publicly over the past few weeks. Would McVay suddenly decide to rotate a back he was comfortable playing on virtually every snap up to this point? My suspicion is that Belichick doesn’t want to get beat by the Rams’ running game. McVay and his team have claimed — especially after the Cowboys game — that a re-emphasis on the run and their offensive line’s physicality was what helped get the offense back on its old track. I think they might have overcorrected a bit. When the game was within 14 points in the first three quarters (essentially trying to leave out situations where the Rams were cruising along with a big lead or throwing to catch up), McVay’s offense has thrown the ball only 50.6 percent of the time since Anderson entered the lineup in Week 16. Before that point, going back to McVay’s arrival with the team in Week 1 of last season, the Rams had thrown the ball 61.1 percent of the time in the same spots. More than anything, I would figure Belichick doesn’t want to get stuck in the unbeatable loop of outside zone and play-action that powers what the Rams do best. More than taking Gurley or any one individual player out of the game, Belichick will want to take away Los Angeles’ best concept and force it to win using something it doesn’t do as well. He also might want to keep the Rams from a heavy dose of play-action, given that the Patriots were 26th in the league in QBR allowed on play-action during the regular season and rank last among the 12 playoff teams during the postseason. I think Belichick is going to put the game on Goff’s shoulders and dare the third-year quarterback to win the Super Bowl. Can Goff pull it off? Belichick is going to need to fool Goff, but more importantly, he’s going to have to fool McVay. Much has been made of the in-helmet communication between Goff and McVay before snaps. If you take the most pessimistic view of their relationship, a befuddled Goff lines up under center before McVay reveals exactly what the defense is about to do, at which point the coach does everything but control Goff like a video game passer. That’s extremely exaggerated, and I don’t think it’s a remotely fair portrayal of Goff, but like Andy Reid in Kansas City or Matt Nagy in Chicago, it’s reasonable to say that McVay helps his star quarterback diagnose defenses before the snap. At the 15-second mark, though, McVay’s line goes dead. There’s a reason the Rams run the ball within five seconds of the ball being spotted more than three times as frequently as anybody else, as The Undefeated’s Domonique Foxworth noted. Defenses want to disguise coverages until the play clock winds below 15, at which point they can throw the book at Goff without any help from the sidelines. If the Rams snap the ball before the clock gets to 15, though, McVay never has to ghost his quarterback. And if defenses are flat-footed and vanilla deep in the play clock in the hopes of revealing themselves after the snap, they’re probably too slow to react to the jet sweep the Rams run with aplomb. Belichick has to come up with a scheme that forces McVay out of play-action and doesn’t reveal any critical flaws before the 15-second mark. He also needs to be comfortable handling motion with tempo, which means his players need to communicate on the fly without any mistakes. The New England defenders need to wrap up and tackle against an offense that has generated 6.2 yards after catch since McVay came to town, the second-highest rate in the league. Oh, and the Patriots also have to simultaneously maintain numbers in the box to stop the Rams from running the ball with a numbers advantage. As Foxworth pointed out on my podcast using NFL Next Gen Stats, Gurley is the lone running back in the league who had more blockers than defenders in the box on his average running play. The former Georgia star averaged 0.15 more blockers in the box than defenders, the largest total we’ve seen for any back with 10 carries per game or more with three years of Next Gen data available. The Pats can’t just sit back in a two-deep shell with five defensive backs and match up with the Rams in 11 personnel. The good news for Patriots fans is that Belichick has spent most of his adult life dealing with problems like the ones the Rams represent. When Belichick worked with Nick Saban while the two were running the Browns’ defense in the mid-1990s, they ran into a problem with the division rival Steelers. The Browns didn’t have the defensive backs to play man-to-man coverage, so they tried to play Cover 3; the Steelers beat Cover 3 by running four verticals. When they sold out to stop the pass with two-deep coverage, the Steelers responded by running for 238 yards in a 1995 playoff victory. Belichick and Saban eventually responded by developing what became known as “Rip/Liz Match” to try to play what basketball fans might typically consider to be a matchup zone. It also allowed the defense to push a safety up into the box, giving them the numbers they need to fill gaps if the quarterback (or offensive coordinator) decides to run the football. The Patriots aren’t going to run a pattern-match zone on every snap, of course, but it’s the sort of thinking Belichick is unquestionably doing as he prepares to try to fool Goff and McVay. He’s going to need safeties Patrick Chung and Devin McCourty to have huge games, even if they don’t have the sort of direct coverage responsibilities they might have against teams with stud tight ends. In the AFC Championship Game, Belichick went with six defensive backs as his primary defensive package, which wasn’t a surprise, given that he had used six or more defensive backs 54 percent of the time in the regular-season matchup against the Chiefs. What was a surprise, though, is how the Pats matched up. Jonathan Jones and Keion Crossen combined for just seven defensive snaps (all from Jones) against the Chargers, but they were the primary cornerbacks in coverage on Tyreek Hill, with Belichick providing safety help over the top. All-Pro corner Stephon Gilmore went to work early against Sammy Watkins, while rookie J.C. Jackson matched up with Kelce. The tactics mostly worked, although Damien Williams had a big game out of the backfield. The Pats would generally prefer to play man coverage against the Rams, and while Gilmore & Co. have to be careful to line up at different levels before the snap and avoid easy pick opportunities, it’s how I think they’ll play Sunday. The most logical plan would probably be to stick Gilmore on Robert Woods, who has a team-high 40 targets since the bye, even if it means that Gilmore will have to spend time in the slot. Foxworth pointed out that the Rams play far more frequently out of reduced splits than any other team in football, so there isn’t really a game plan for the Patriots in which Gilmore can stay on the outside. The All-Pro has not been as consistent in the slot as he has been outside, but he’s still going to be New England’s best corner. The speed of Brandin Cooks probably makes him a better fit for the sorts of coverages Hill saw a week ago, which would push the Patriots toward Jones or Crossen with help over the top. Jackson, who had the worst AFC Championship Game of the cornerbacks, would take Josh Reynolds when the third wideout is on the field. (This would be a mismatch if Cooper Kupp had been healthy.) The Pats could also go with Jackson (and help) on Cooks with Jason McCourty on Reynolds. New England is generally comfortable staying with their nickel alignment against 12 personnel — it stuck with five defensive backs against two tight-end sets 61.2 percent of the time, the third-highest rate in the league — so we’d likely see Jason McCourty remain on the field if the Rams go with Everett and Higbee. Which Goff will we see? Regardless of how the Patriots line up, though, Goff is going to have opportunities to hit open receivers. Belichick can match wits with McVay, and the Patriots have a hugely underrated pass-rusher in Trey Flowers, but unless you’re the Bears, the Rams are too good on offense to keep down for an entire game. The game might very well come down to whether Goff makes those throws when he has the chance. Nobody would argue against the idea that Goff is very talented, and when he’s hot, he can look like an MVP candidate. Remember that 465-yard, five-touchdown game against the Vikings on Thursday night in Week 4? Through the Vikings game, Goff was averaging 10.5 yards per attempt, had a passer rating of 127.3, and was posting a Total QBR of 87.6, each of which ranked second in the NFL. From Week 5 on, though, Goff ranked 12th in yards per attempt (7.7), 17th in passer rating (92.9) and 18th in Total QBR (57.7). His numbers got even worse after Kupp went down with a torn ACL. Over the final five weeks of the season, Goff was about as bad as Cam Newton, who was playing with a compromised shoulder. Even in his best games, Goff can come undone. The former first overall pick threw for 413 yards and four touchdowns against the Chiefs, but he might have hit 500 had he not one-hopped this throw to Cooks or made a subpar throw to Woods, among other plays. Goff’s mechanics can be inconsistent from snap to snap, which is why you’ll occasionally see him totally miss a simple throw to an open receiver. It would be naive to pretend that Goff doesn’t leave big plays on the field. Every quarterback does, Mahomes included, but Goff misses more than most. During the season, Goff was incomplete or intercepted on 24 deep passes with more than a 50 percent shot of being completed per the NFL’s Next Gen Stats, more than anybody else in football. He was the quarterback for the three worst deep misses of the season, when he one-hopped the dig route to Cooks, failed to connect with Kupp against the Raiders (on the same drag-and-go concept Kupp would run for a touchdown against the Vikings three weeks later), and threw behind Reynolds on this beautiful fake screen in Week 17. Each of those three passes had between an 85 and 90 percent chance of being completed per Next Gen Stats, and Goff has to shoulder a reasonable amount of the blame for not hitting them. The flip side is also true. Goff can struggle for stretches and then deliver absolutely perfect passes when the Rams need him most. The whole offense looked shook for the first quarter against the Saints in the NFC title game, but during the two-minute drill at the end of the first half, he made a number of impressive throws and topped them all with an absolute dime over Cooks’ shoulder for 36 yards to set up a touchdown. Goff underthrew what should have been a touchdown to Reynolds in the fourth quarter, and while Reynolds brought the pass in, the Rams ended up kicking a field goal to tie the score 20-20 (and would have lost if it weren’t for that infamous non-call). He led the Rams back on a two-minute drill to tie the score, and then made what Peyton Manning called “the best seven-yard completion of [Goff’s] life” to set up Greg Zuerlein‘s game-winning field goal. All of this is to say that the range of outcomes for Goff in this Super Bowl is a lot wider than they are for Brady. Goff could have three opportunities to hit an open receiver in stride for a big play, and the game may hinge on whether he turns any or all of those chances into successful completions. If there’s one meaningful place where I’m confident Belichick has an advantage on his younger counterpart, it’s in managing his timeouts and challenges and on fourth-down decisions. During this playoff run alone, McVay has nearly passed up one fourth-and-short opportunity against the Cowboys while inexplicably trying to draw them offsides in a goal-to-go situation, only to use a timeout before realizing the error of his ways. He did the same thing earlier in the year against Seattle before letting Gurley seal up a victory, but in the NFC Championship Game, he made an enormous blunder by any win expectancy metric (or common sense) in turning down fourth-and-goal from the 1 to kick a field goal and tie the score against the Saints in the fourth quarter. As SB Nation’s Bill Connelly noted in his game preview, McVay has been arguably the most conservative coach in the league in fourth-and-short on his opponents’ side of the field this season. It’s one thing to do with a great defense and a limited offense, but the Rams are the Rams. McVay does so many other things well that the Rams do just fine despite their coach’s conservative decision-making, and he was bailed out in the NFC title game by a blown penalty and some brilliant kicking by Zuerlein, but he is leaving a few points of win expectancy on the table with subpar decision-making on fourth downs. Belichick, who manages games about as well as you figure Belichick would manage games, is happy to scoop up those points. In a close game, one suboptimal decision about field position from McVay could very well make the difference. I think we’re going to get a close game, which isn’t exactly going out on a limb when you consider that the point spread is 2.5 points and that each of the Patriots’ eight prior Super Bowl appearances have included a tie or a lead change in the fourth quarter. Even if one of these teams gets up by 10 points in the first half, each has the sort of passing offense capable of catching up quickly. I lean toward the Patriots, ever so slightly. They’re well-positioned to attack the weakest components of the Rams’ defense with their weapons in the slot, as was the case for the Eagles, who scored 66 points on offense in beating the Rams twice over the past two seasons. There might very well be a scenario like that Seahawks-Broncos game in which Donald makes a big play early and it seems to set the tone for the entire game. It would hardly be shocking if Gurley, healthier after resting for two weeks, punished the Patriots as a receiver. The Rams have tons of top-tier talent. With Belichick and Brady focused on identifying and exploiting the weaker spots in their lineup, though, I think we see the latter become the first player in NFL history with six Super Bowl rings.